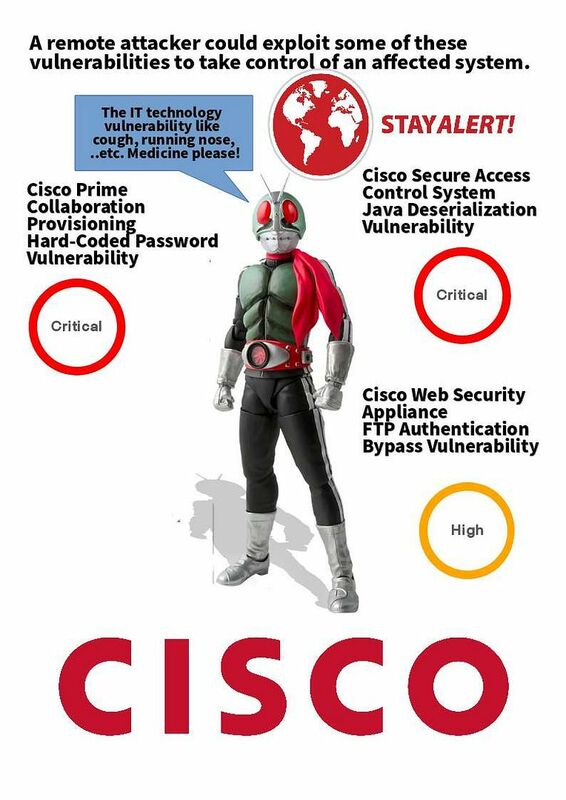 Mar 2018 – A remote attacker could exploit some of these vulnerabilities to take control of an affected Cisco system. The IT technology vulnerability like cough, running nose,..etc. Medicine please. I just want to say I am new to blogging and actually enjoyed you’re page. Very likely I’m likely to bookmark your blog post . You certainly come with good article content. Regards for revealing your blog site.